This session (Bovo-Tighe Motivating-Leading Session NPMA 2011,) led by Marilee Robertson, taught how to use an understanding of basic behavior styles to better work with different personalities, a foundational step to great team building and stronger interpersonal relationships. 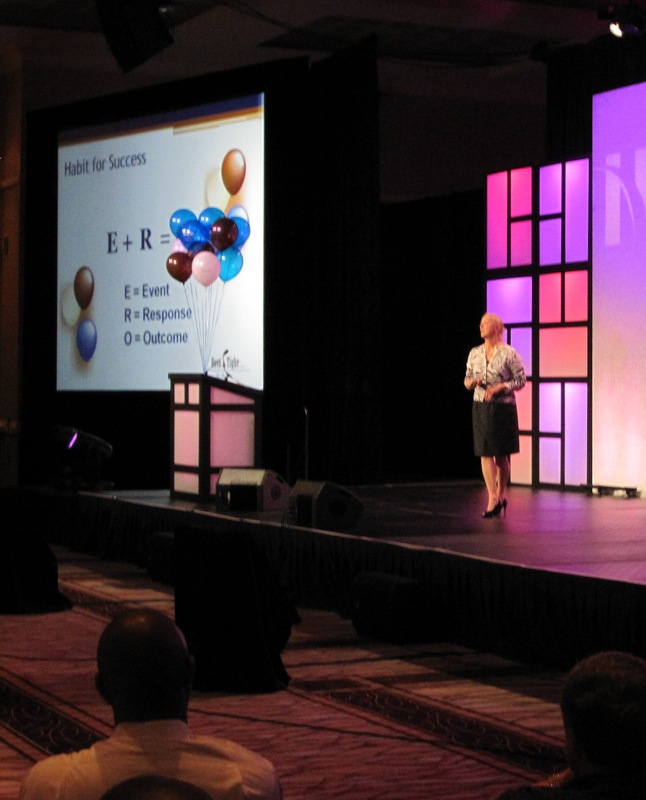 Brooke led the full assembly in a mindset-changing exercise (Bovo-Tighe Keynote NPMA 2011) to get them to adopt forward-thinking, action-oriented behaviors as a habit. She used E+R=O (Event plus Response equals Outcome) as the mnemonic to encourage this change in mindset. And a tip of the cap to the property managers: Audience participation was fantastic! Dave took his group through a compact version of our leadership development model (Bovo-Tighe Leadership Seminar NPMA 7-2011) based on our Foundations of Excellence approach of Unshakable Trust, Communication That Counts and the Pursuit of Truth. Participants learned everyday behaviors that can change the way they manage their professional relationships to significantly enhance their productivity, and that of their peers and teammembers. We had a great time, made some great new friends, and look forward to returning in 2012 to check on the progress NPMA members make in embedding forward-focused, action-oriented habits into their day-to-day business interactions!